"Washington Gas has served the DC-area for 170 years, and we are thrilled to support education initiatives in the local community that empower the next generation of professionals with skillsets that prepare them for a successful future"
WASHINGTON--(BUSINESS WIRE)--Washington Gas today joined the Junior Achievement (JA) of Greater Washington for the grand opening of JA Finance Park® in Montgomery County, Maryland. Together with local elected officials, corporate sponsors, students and faculty, the event celebrated the ongoing success of JA Finance Park® to provide an innovative and interactive environment for middle-school students to learn personal finance literacy skills and the economics of life for the 21st century. The new state-of-the-art facility, located on the fourth floor of the Thomas Edison High School of Technology in Silver Spring, is the second JA Finance Park® to launch in Maryland and is expected to host approximately 12,000 students from 40 different middle schools every year, with the support of 2,200 community volunteers. The center features multiple educational storefronts and kiosks where students can engage with experts and educational tools to gain an understanding of managing money effectively and efficiently, including through use of digital technology, in a variety of everyday scenarios. Washington Gas collaborated with Pepco to create the “YOUtility Challenge” storefront which offers students a dynamic setting to learn how to properly budget energy costs using real-life scenarios in a full-day curriculum. 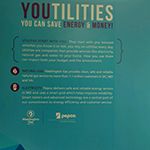 To add fun to the energy education experience, YOUtility showcases an interactive 3D simulated home with visibility into how natural gas and electricity function to power critical appliances in multiple rooms. A touchscreen video game also lets students gauge their knowledge of the many ways houses use energy and presents helpful tips and techniques about energy efficiency and lowering energy costs. 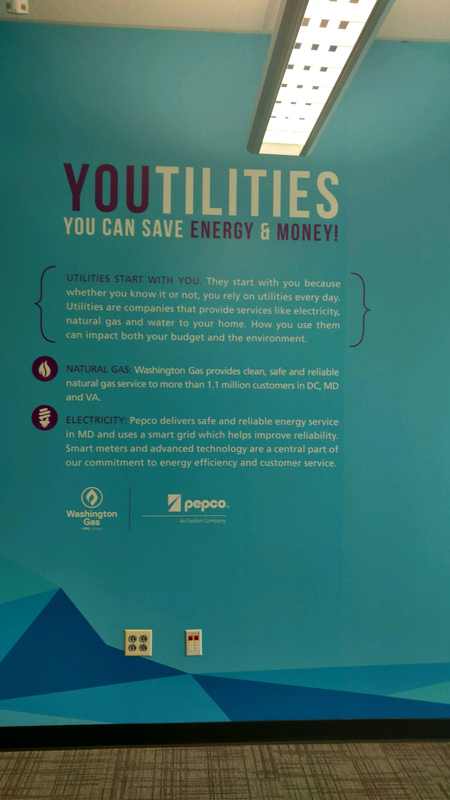 The YOUtility Challenge sponsored by Washington Gas and Pepco is also available at the JA Finance Park® in Prince George’s County, which was introduced in the fall of 2015 in Landover and serves approximately 9,000 students annually. Junior Achievement, the world’s largest organization dedicated to educating students from kindergarten to 12th grade about the fundamentals of finance, work readiness, and entrepreneurship, has reached more than 8 million students in 100 countries worldwide, and the group’s greater Washington area presence in 17 counties includes the District of Columbia. There are 21 Finance Park® facilities in the nation. Throughout the DC region, more than 120,000 students have graduated from the Finance Park® program, with more than 2.5 million instructional hours dedicated to the cause, and 165 schools representing 10 school systems. To learn more, visit www.myJA.org.